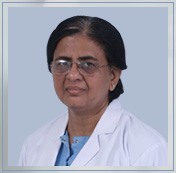 Dr. Neemat Bano is currently associated with Regency Hospital as a Consultant in Anaesthesia. She has an experience of 22 years in Anaesthesia for all Superspeciality Surgeries & Critical Care. M.D |Anaesthesiology – M.L.N Medical College Allahabad. M.B.B.S – M.L.N Medical College Allahabad.